Kawit can u check my appeal please? Please have some patience until a staff member sees your appeal, also, asking staff to check your appeal may result in a denial. Can You UnBan it or i am gonna need to make a ban appeal ? Hello Kawithomas , i have Send That payment photos in a replay in the Support Ticket . Cuz i dont know how to use That Site you told me to upload the photo on it . Can you plz unban it or i need to make a apply ? help me i buy rank for my hacked account. can i transfer the rank? Now? is it chrashed rn? 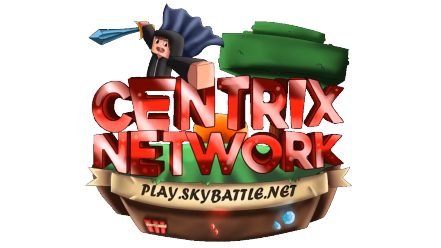 I dont join centrix for like 3 weeks, what happened in that days? Please have some patience, you should be getting a response soon. I just made a new server (skyblock server) and i don't have a /warp shop. Kawithomas i got banned 3 month ago by gladdid,I applied can u check it please? please dont ask staff to view your appeal, asking can lead in an instant denial. Im back online i was inactive bcs i was on vacation and i had my birthday! :D So yea im back so if you need help you can pm me! congratz! you were more early~!